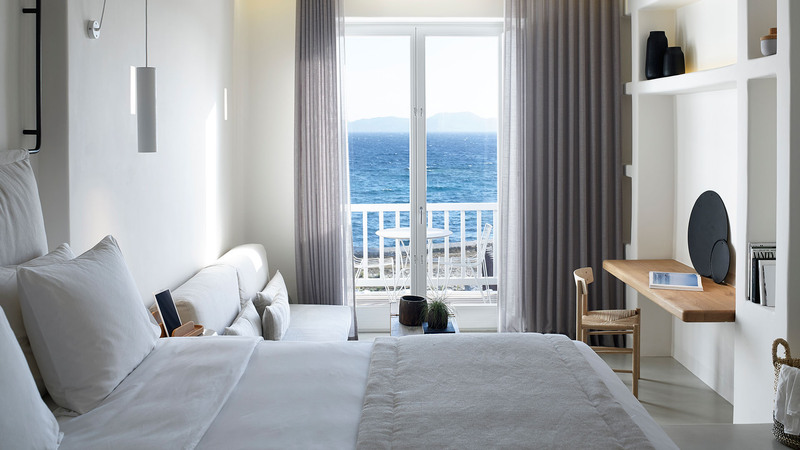 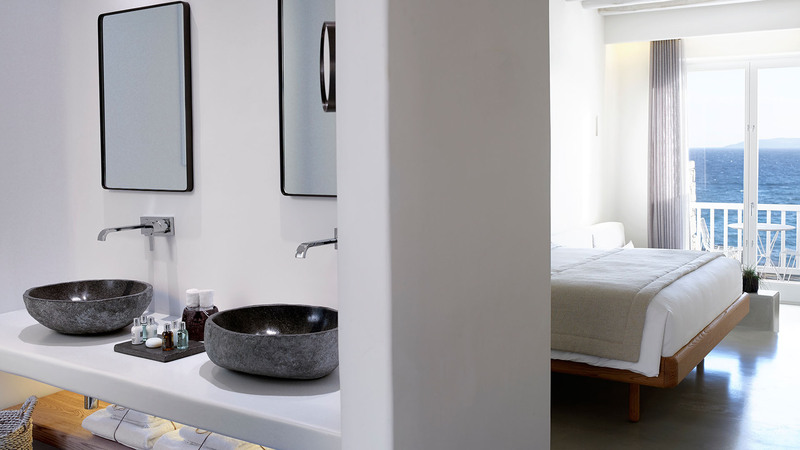 Situated on the upper level of the complex these magnificent sea view suites feature one elegantly appointed bedroom with a contemporary take of the Mykonian lifestyle and a small balcony overlooking the sun kissed Aegean Sea. 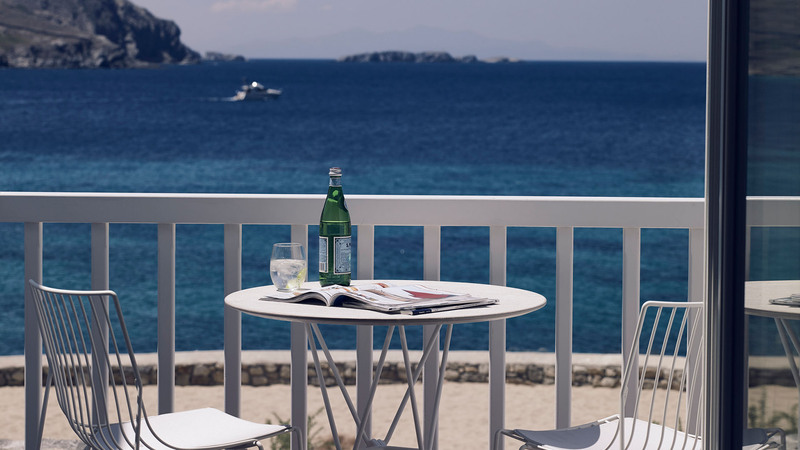 With enchanting views of the hotel’s oceanfront, these beautifully appointed and elegantly spacious suites boast an inviting ambiance with a distinctive Mykonian personality. 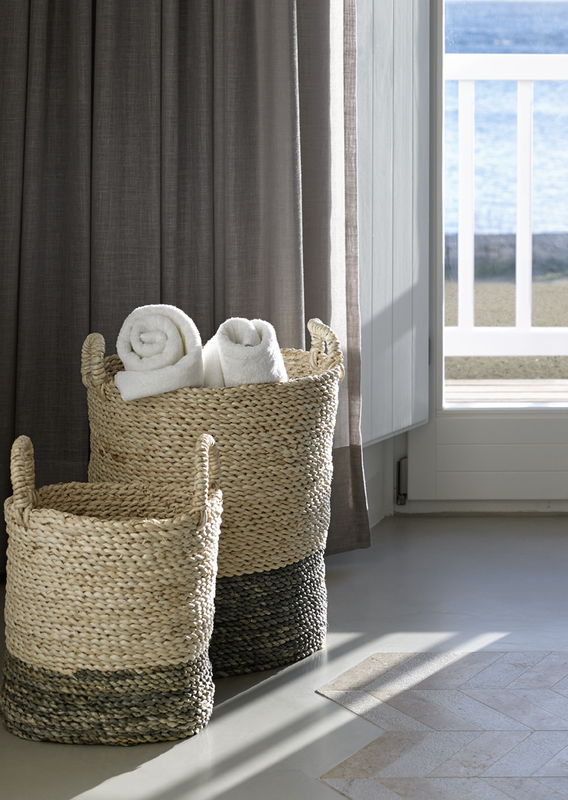 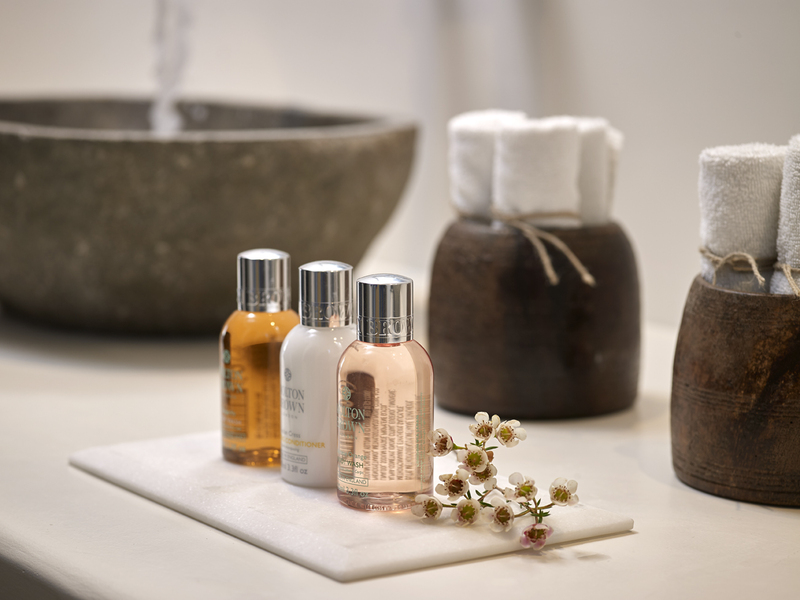 Natural woods, soft fabrics and gentle hues of color mimicking the sand and sea create an indulgent welcoming space.